Tenants have an undeniable impact on the success of a property investment. To be more precise, good tenants make rental properties worthy investments. So, if you are renting your house, ensure that you get good tenants. What makes a good tenant? Subjectivity may come into play when it comes to describing a good renter, thereby making it impossible to come up with a universal definition for it. However, there are certain qualities which always appear on many property owners’ list of what makes a good tenant like paying rent on time. Reports indicate that delayed payment is one of the most common problems landlords face. If you have been in this business for quite a while, you’d know that occasional delay in payments may happen. This is understandable, especially if the tenant proactively informs the landlord in advance. 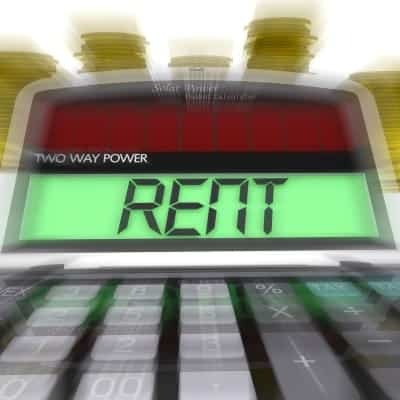 What is worrying and unacceptable is when the tenant consistently fails to pay rent on time. Problems such as this do not just cause undue stress on landlords but also jeopardises the future of the business. Aside from paying the rent on time, a good tenant is someone who manages the property properly. He/She ensures that it is clean and in tiptop condition. Also, he/she understands the value of maintaining good relations with neighbours. Lastly, a good tenant respects the terms of the lease. Finding a tenant who pays on time and bears all the aforementioned qualities involves a meticulous process. It entails doing a thorough background check on the potential tenant. Call references and find out as much as you can about the tenant. If possible, get a hold of his/her previous landlord/s. Ask pertinent questions to know if the tenant pays on time, if he/she keeps the property clean, if he/she is a good neighbour, etc. Keep in mind, after talking to the references, you should have a good picture of what the potential renter is like. Also, since the tenant’s ability to pay on time is of utmost importance, you must perform a credit check. There are companies offering this service to landlords. When it comes to the cost, you can opt to let the potential tenant shoulder it. To ensure that you don’t encounter payment problems, only consider applicants with a stable source of income and whose gross monthly income is three times the rent or more. In addition to employing the process mentioned above, diligence is also essential in this endeavour. Gathering valuable information about your potential tenant can be taxing, especially if his/her references aren’t easy to reach. Despite this difficulty, do not shorten the process and decide based on the limited information you have, unless you want to deal with tenant problems later on. Moreover, if the applicant was referred by a relative or a friend, doing a background check may seem unnecessary. Wrong! Do not bypass the process even if someone you trust referred the applicant. Always observe due diligence to safeguard your interest and ensure the profitability of your investment. Undeniably, finding good tenants demands considerable effort and time; it’s not an easy endeavour. So, do not hesitate to seek the help of a professional letting agent if you think you can’t deliver what this task requires. Armed with the necessary experience and a reliable tenant vetting process, a letting agent can help you secure good renters in the shortest time possible. Moreover, he/she can take care of other essential tasks such as marketing your property, overseeing viewings, creating agreements and other mandatory documents. There are also letting agents whose services aren’t just limited to securing excellent tenants for landlords like you. Some offer property management services which may include collecting monthly rent, inspecting the property and corresponding with tenants on behalf of the landlords, among others. If you have no time to manage your property or simply want professionals to oversee it, this is an option you should consider. Renting your house in Ireland? Find tenants who pay on time with the help of our letting agents. Visit our website or call us at 014959020 today!